There is much controversy surrounding the idea that drug addiction and alcoholism are diseases. While the medical community classified alcoholism as a disease, specifically a “treatable disease”, in 1956 in a vote by the American Medical Association, the debate over whether addiction and alcoholism are diseases or rather a serious behavioral problem continues to rage throughout society. While we won’t enter that debate, we do think it’s important to answer the question “What is the disease model of addiction?” As far as our stance as a treatment center, we believe regardless of what the classification is, someone suffering from addiction, substance abuse, substance use disorders and alcoholism can only get better through quality, comprehensive addiction treatment. The disease model of addiction classified addiction and alcoholism as a disease because it is a chemical/biological issue that is primary, progressive chronic and ultimately if left untreated, fatal. It is characterized by an obsession to use drugs or drink and has biological, environmental, genetic and neurological sources of origin. 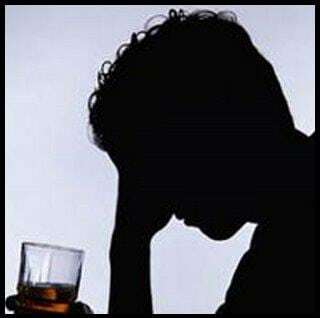 Drug addiction and alcoholism is therefore considered a disease because they fit the traditional medical model of “disease”, which requires only that an abnormal condition be present in a person that causes discomfort, dysfunction or distress to the afflicted individual. Therefore, the disease model of addiction attributes addiction and alcoholism to a genetic predisposition that can they be influenced and exacerbated by environmental factors. The medical community over the recent years have embraced the idea that addiction is a brain disorder and treatment is necessary in order for the addict or alcoholic to recovery from their illness. Many critics believe that classifying someone as suffering from the disease of addiction gives them an area to play a victim, gives them a relapse “get out of jail free” card or allows the suffer to not take responsibility for their addiction or their behaviors. This is altogether inaccurate. Regardless of the classification of addiction, the person suffering from substance use disorder is no victim and must take responsibility for themselves to get the proper treatment they need in order to recover. If you or someone you know is suffering from prescription drug abuse or drug addiction and is in need of drug treatment, please call us for help. Maryland Addiction Recovery Center offers the most comprehensive addiction treatment in the area. If you aren’t the best fit for you or your loved one, we will work with you to find a treatment center that best fits your needs in overcoming addiction. Please feel free to call us at (410) 773-0500 or email our team at info@marylandaddictionrecovery.com.. For more information on all of our drug and alcohol addiction treatment services and resources, please visit our web site at www.marylandaddictionrecovery.com. Do you know someone struggling with the disease of addiction?